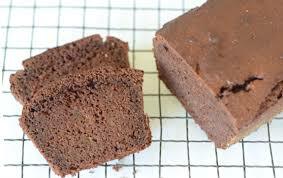 In a food processor combine almond flour and cacao powder. Pulse in salt and baking soda. Pulse in eggs, coconut oil and honey, stevia, then zucchini. Transfer batter to a greased 6.5 x 4 inch baby loaf pan, dusted with almond flour.